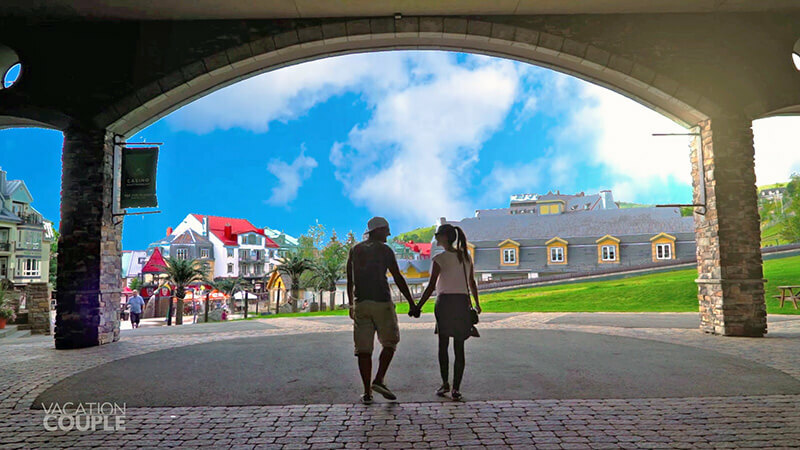 When most people hear the words, Mont Tremblant Quebec, cold weather and winter activities immediately come to mind. 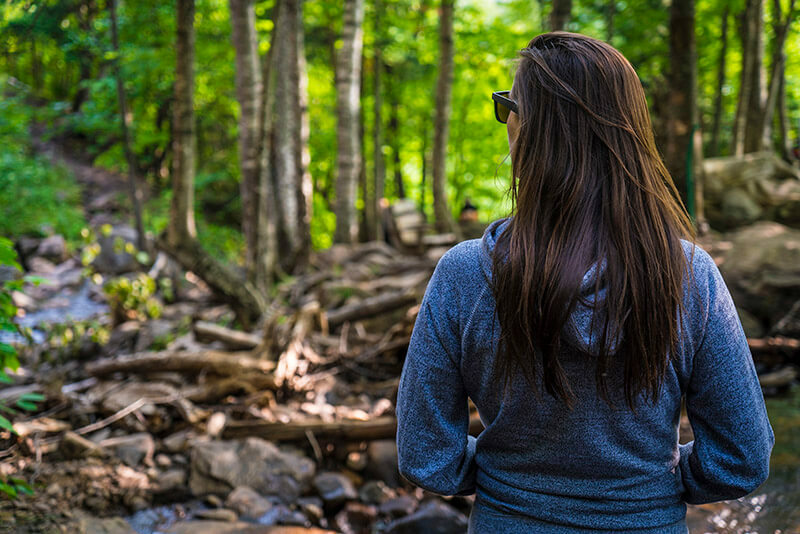 But after hiking the mountains, indulging on patios, and watching the sunset from high above the Laurentians, we can tell you that it’s so much more. 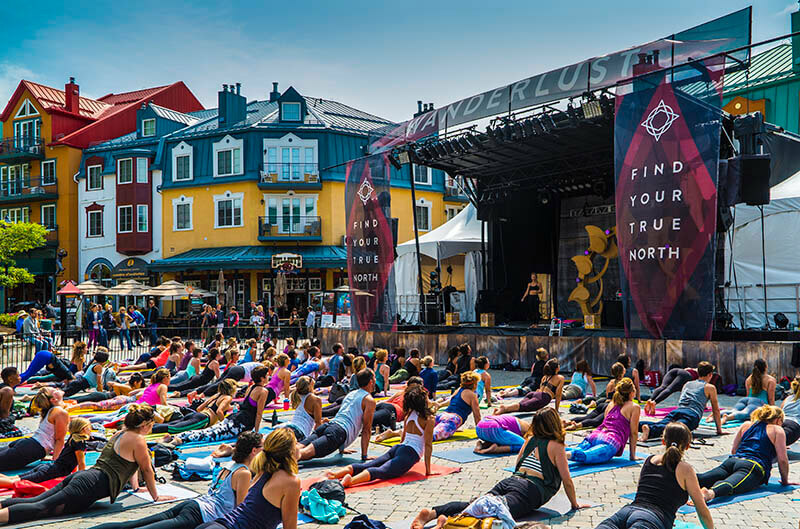 This summer we attended the Wanderlust Festival in Tremblant Village. 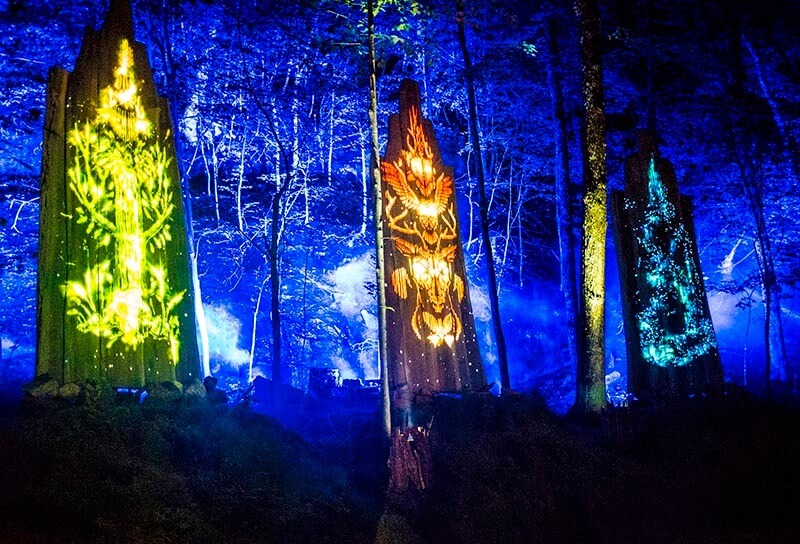 The festival is filled with yoga, music, food, mother nature, and lots of good people. 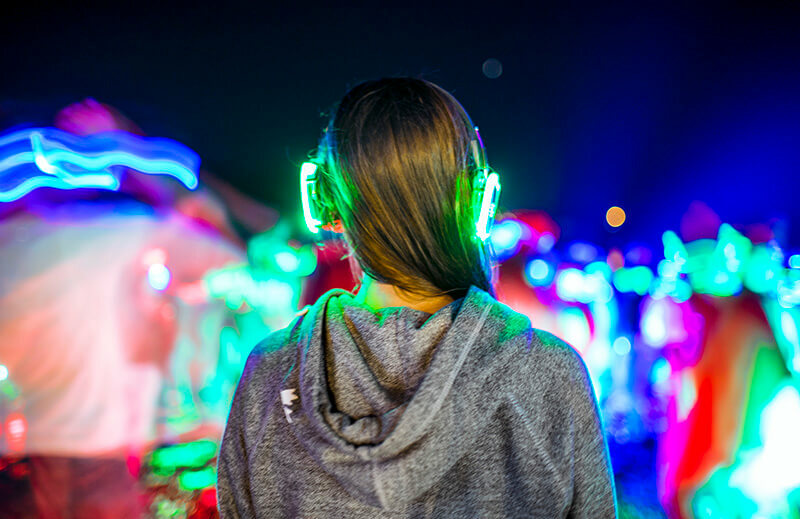 We attended for the full 4-day festival experience and went to as many events as we could squeeze in. 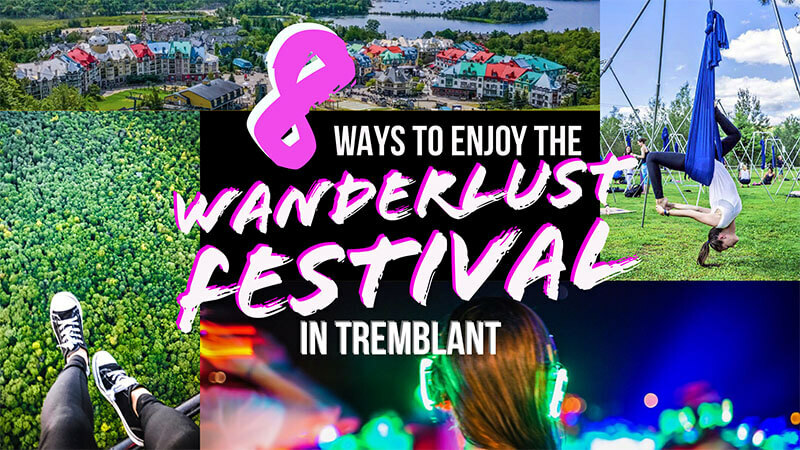 There are lots of things to do in Mont Tremblant in the summer, the Wanderlust Festival is one of the best because it has so much to offer. After our Wanderlust experience, we felt closer to ourselves, each other, and to the friends that we made along the way. 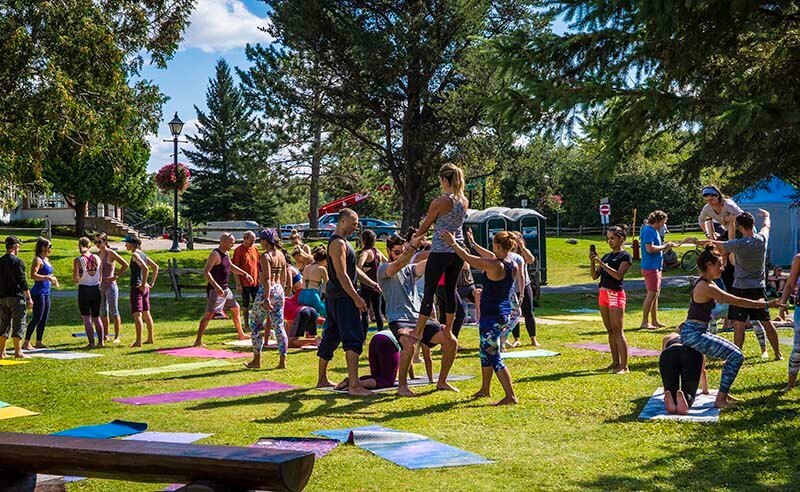 Which is why we want to share these 8 ways to enjoy the Wanderlust festival in Tremblant. 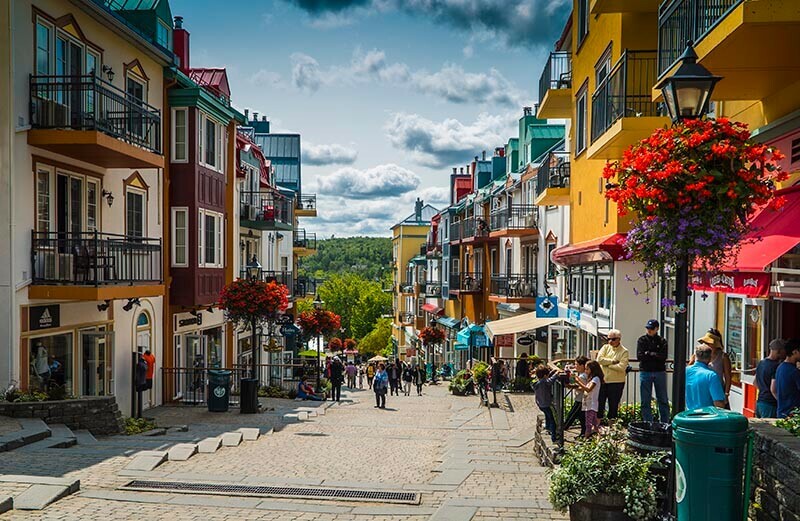 No visit to Mont Tremblant is complete without a stop at the whimsical cobblestone streets that make up the Pedestrian Village. 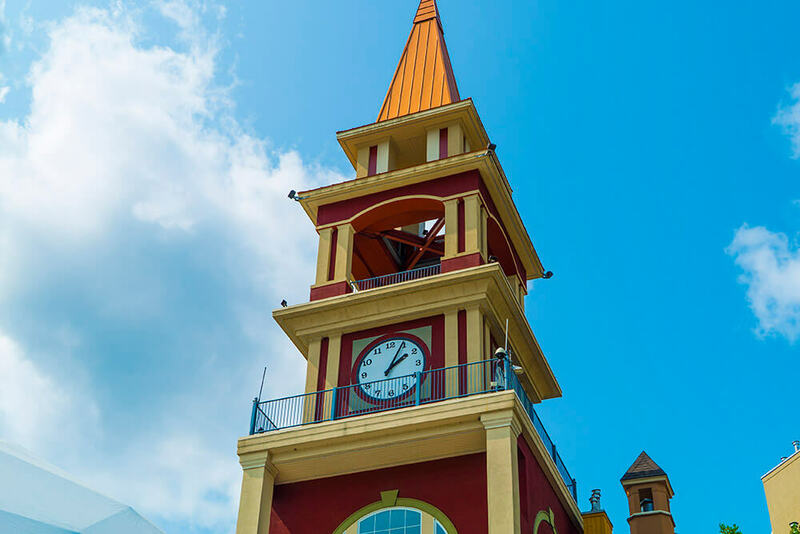 The brightly colored roofs and quaint buildings beg you to explore what lies inside them. You’ll find boutique shops, classic corner stores, and a variety of restaurants to satisfy even the harshest food critic. It was easy to for us to visit this cozy wonderland all day as we stayed in the village at Le Sommet des Neiges. 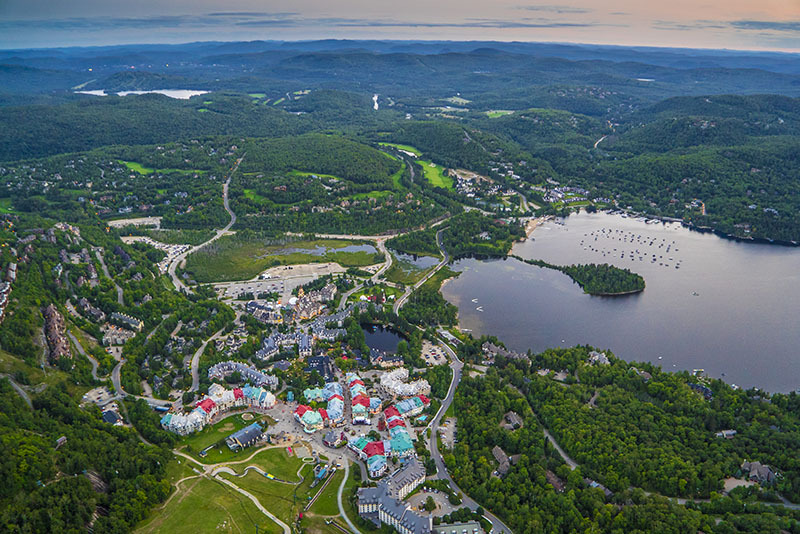 Staying directly in the village allowed us to maximize our time spent enjoying everything Tremblant has to offer, as well as having all of our Wanderlust venues close-by. With a variety of different cafes, bars, and restaurants to choose from, our group had no shortage of food to try. Our favorite dinner spots included Gypsy for tapas and wine and Coco Pazzo for incredibly authentic Italian cuisine. 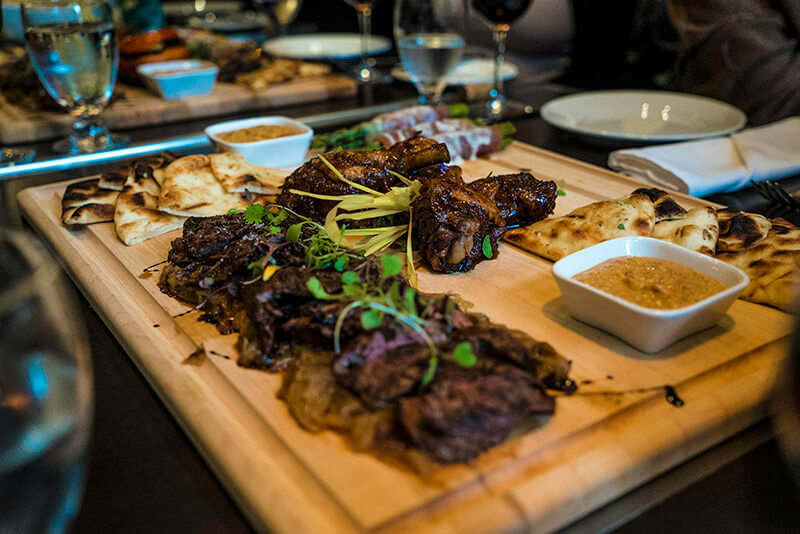 For a relaxed lunch with tasty choices, we recommend Resto-Bar Shack or Microbrasserie La Diable. And don’t forget to try the poutine, it’s the best in Canada here! Shadi’s favorite place for a treat was Queues de Castor, but who doesn’t enjoy a good Beavertail? Riding over the Laurentians with the wind in our hair, watching the trees roll by from high above was an exhilarating feeling. The water glistened underneath us as the sun dipped below the horizon and painted the sky with bright oranges and purples. 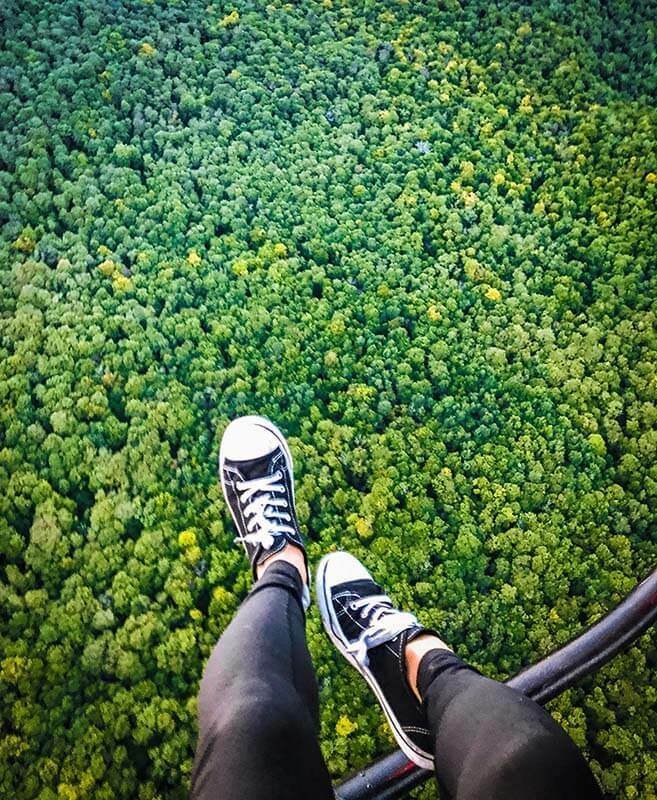 Taking a helicopter ride over the village at sunset was exhilarating and unforgettable. You’ll have a perfect view of the village, lake, and all the lush mountains surrounding them. 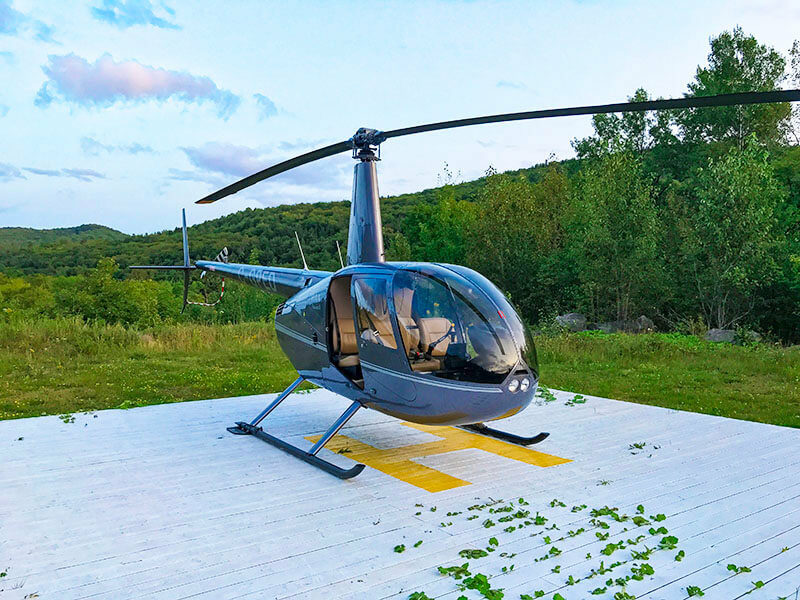 Being residents of Toronto, there were a few choices of how to travel to Tremblant for our Wanderlust adventure. Do we take the train, bus, car, or fly? The debate didn’t last long and we were able to travel there quickly and comfortably with Porter Airlines. 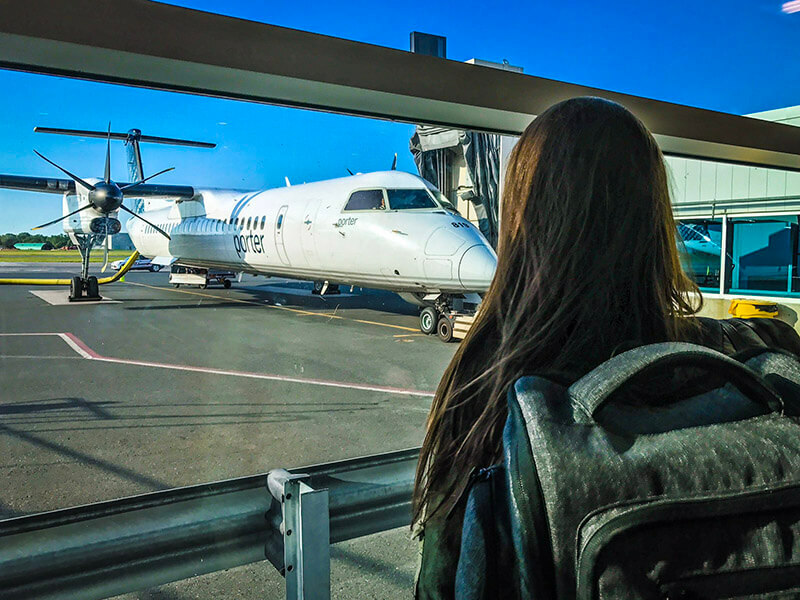 Although we’ve flown to New York with Porter in the past, we had no idea how convenient traveling within Canada could be. 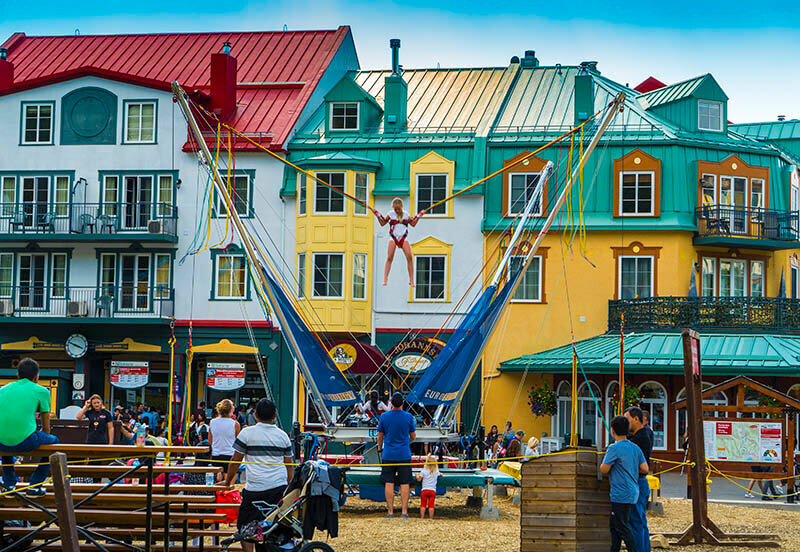 We left Toronto and arrived in Mont Tremblant in just over an hour and got right into the Wanderlust fun. 5 » Activities, activities, activities! 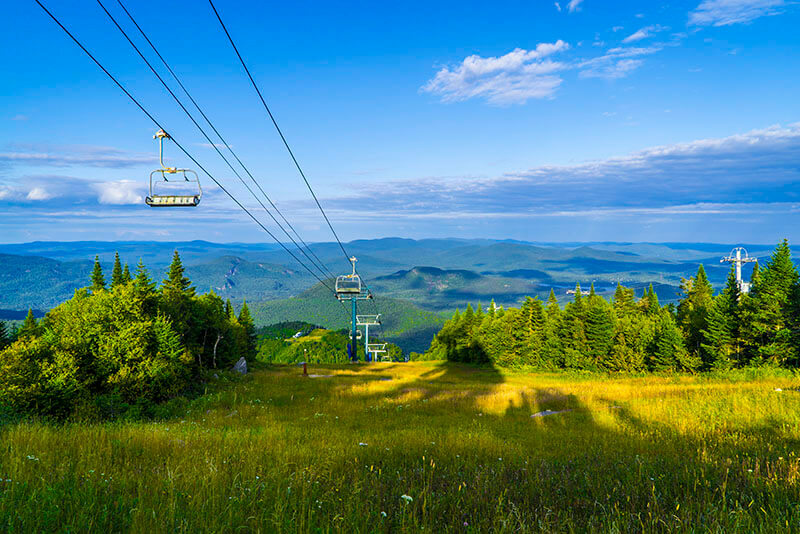 Since there’s no snow on the ground, skiing or snowboarding isn’t an option. But if you’re in for super fun and exciting activities, you’re in luck. You can purchase a 3, 5, or 7 session activity card to load up on the fun and save some money! Pack your visit full of activities or save some for a return visit as cards are valid all summer long. 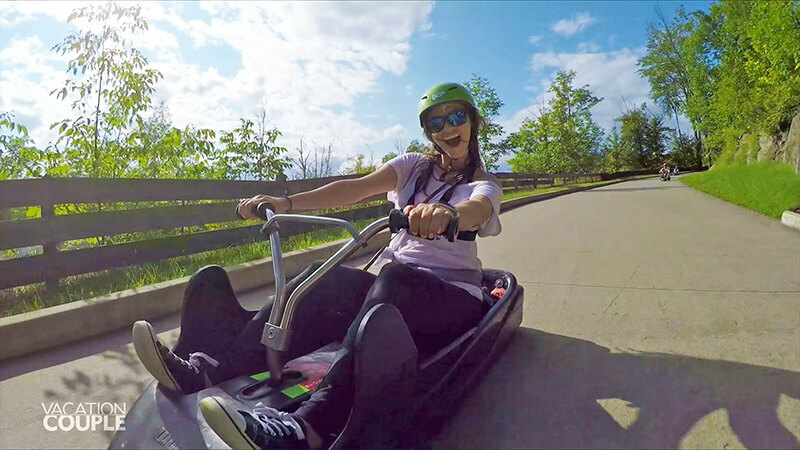 We had lots of Wanderlust activities to participate in during our visit but we made it a priority to race each other on the luge. 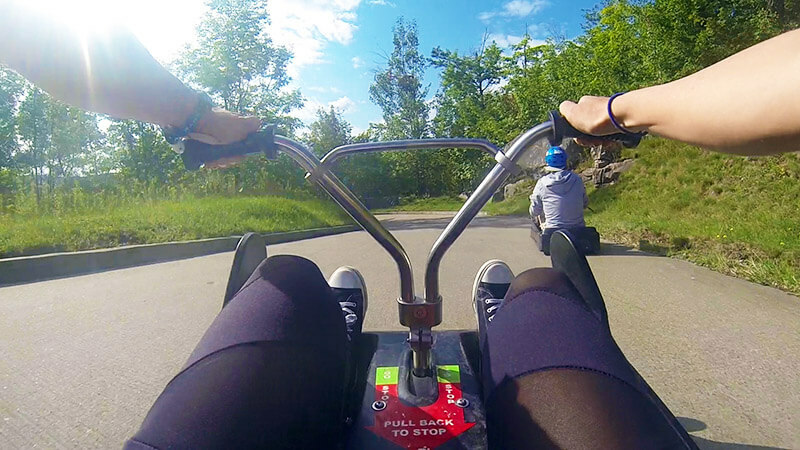 I (Kristin) easily won as I swerved around corners with ease…. maybe next time Shadi! Other activities included with the card are the Eurobungy, Climbing Tower, and Akropark. All of which we could literally see from our hotel window! 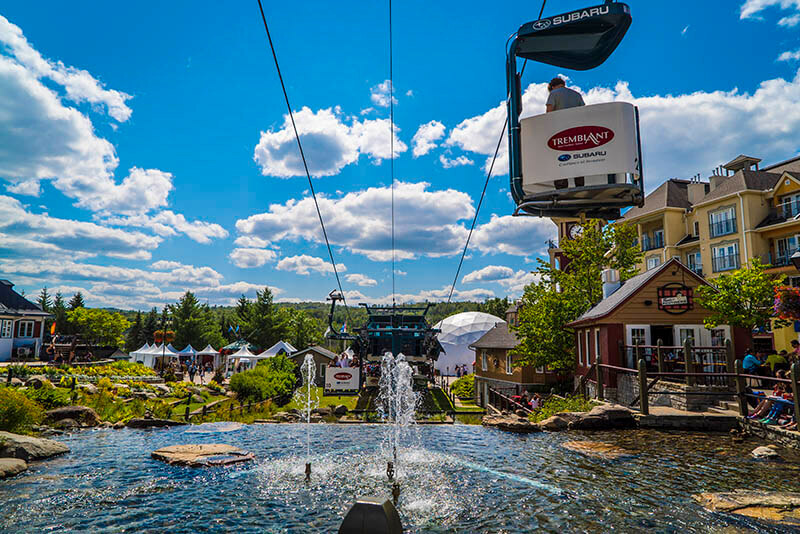 Another great activity to try is the panoramic gondola ride. See each and every layer of the mountain appear on the horizon on your way up. Stick around to explore the top from every possible angle. 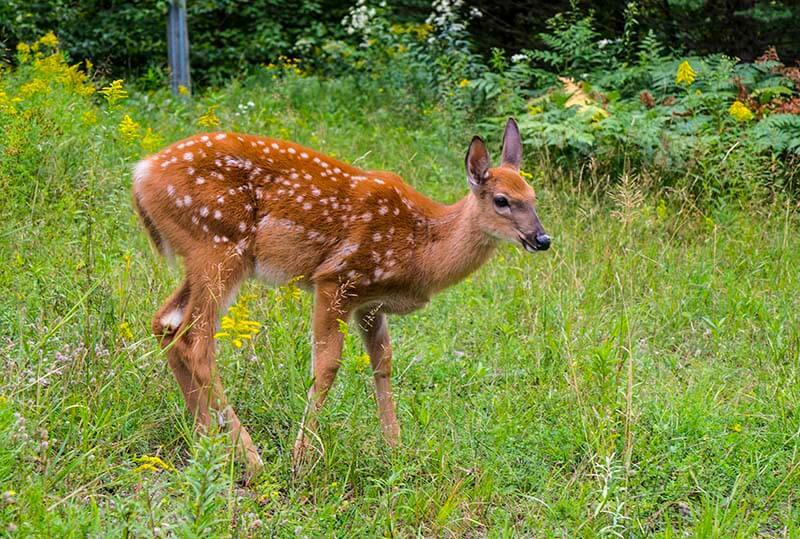 You can also grab a bite to eat at Le Grand Manitou, check out the hiking shop, catch the birds of prey show, or even go zip-lining while you’re up there. 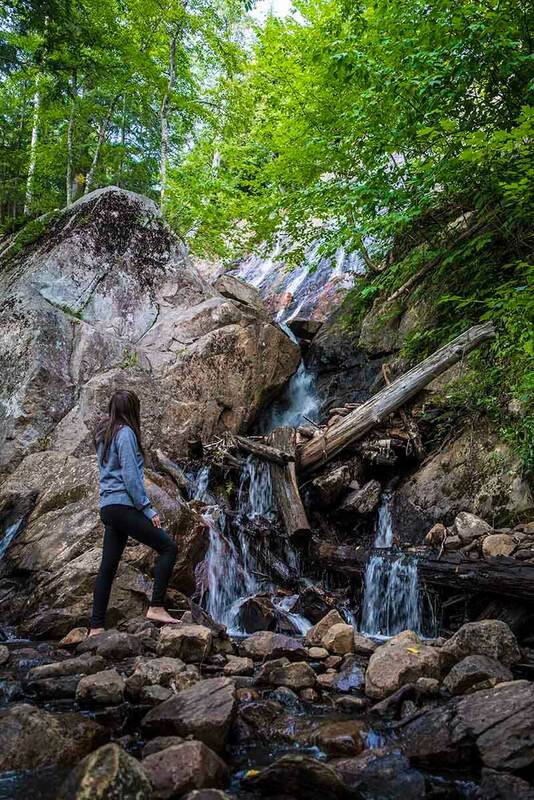 Explore Mont Tremblant by foot, with 11 different hiking trails through the gorgeous Laurentian mountains, the possibilities are endless. 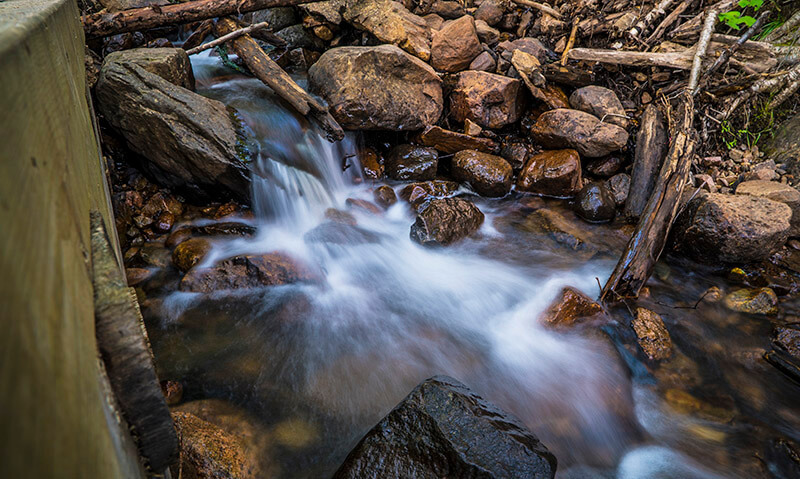 This free activity brings you through lush vegetation and tranquil waterfalls. We thoroughly enjoyed the nature surrounding us, even taking off our shoes and going barefoot through part of the trail. Since we had a lot of activities packed into each day we opted for the shortest course to the summit, the Grand Prix of Colors. 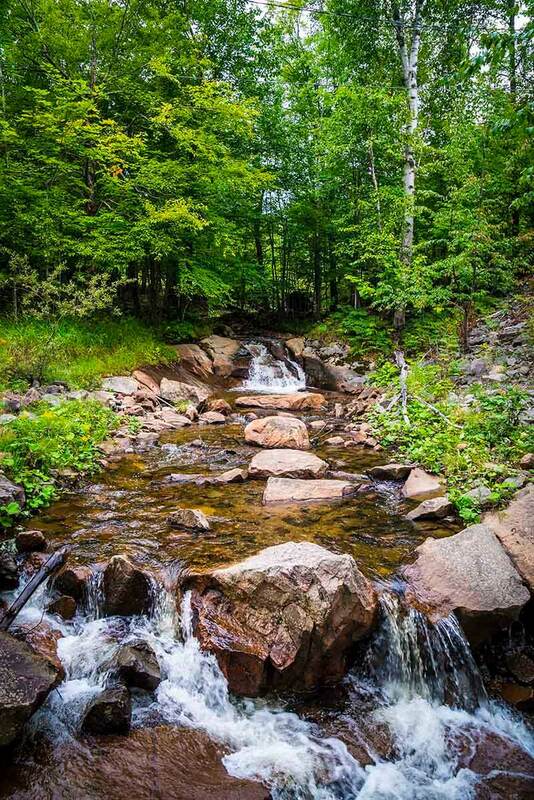 Check out the hiking map here. We had no idea what we were in for. Pleasantly surprised doesn’t begin to describe the feeling Tonga Lumina gave us. 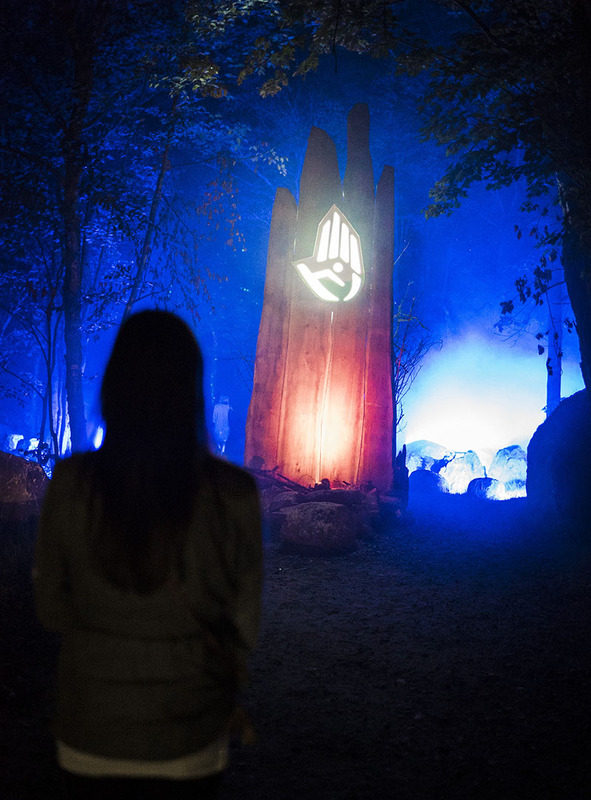 This sensory experience brings you through the forest on an illuminated night walk and tells the story of the giant in the mountain. 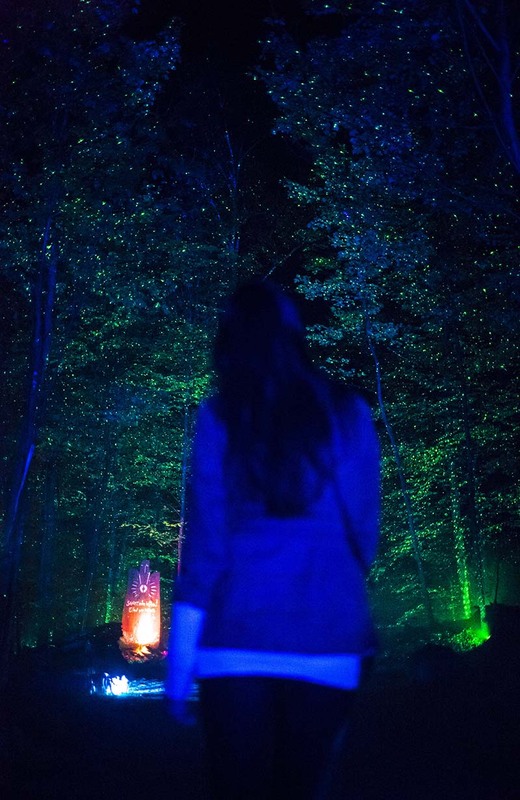 Set in the heart of nature, this 1.5km night adventure is a must on your next visit to Tremblant. Shadi and I have never been to a festival together before, let alone a yoga & music festival like Wanderlust. I took this opportunity as a refresh and recharge. 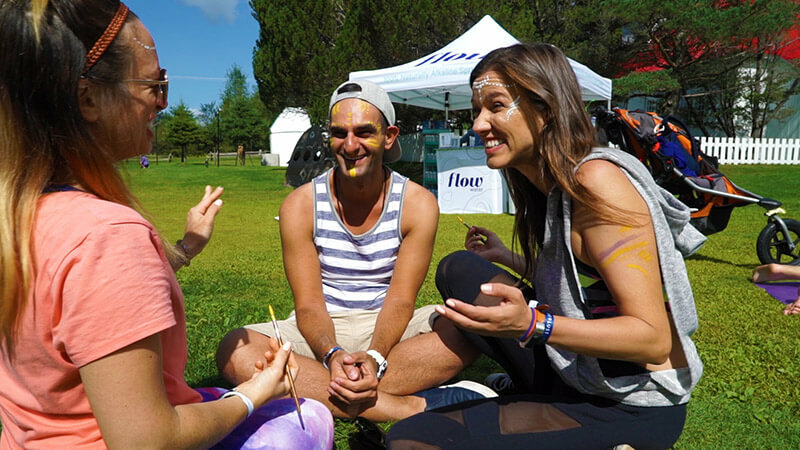 A step away from daily city life and a chance to connect with like-minded individuals, in a beautiful location, to learn, love, and grow together. 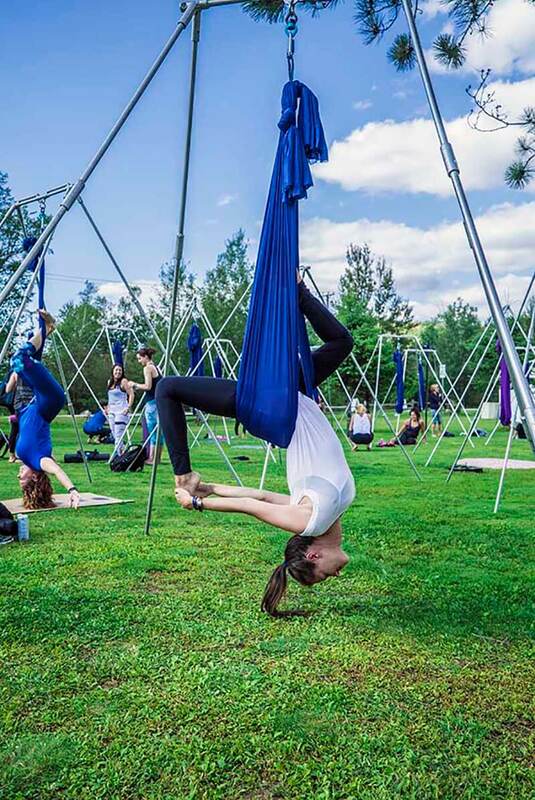 There are 9 different types of classes including yoga, meditation, hooping/slackline, hikes & runs, music, Speakeasy talks, and premium activities. 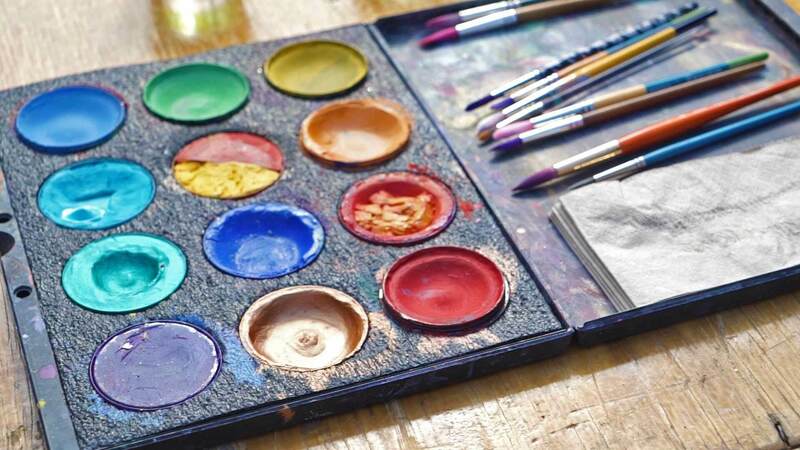 We met incredible teachers and artists who taught us about the earth, our bodies, and how to improve our connections and community. 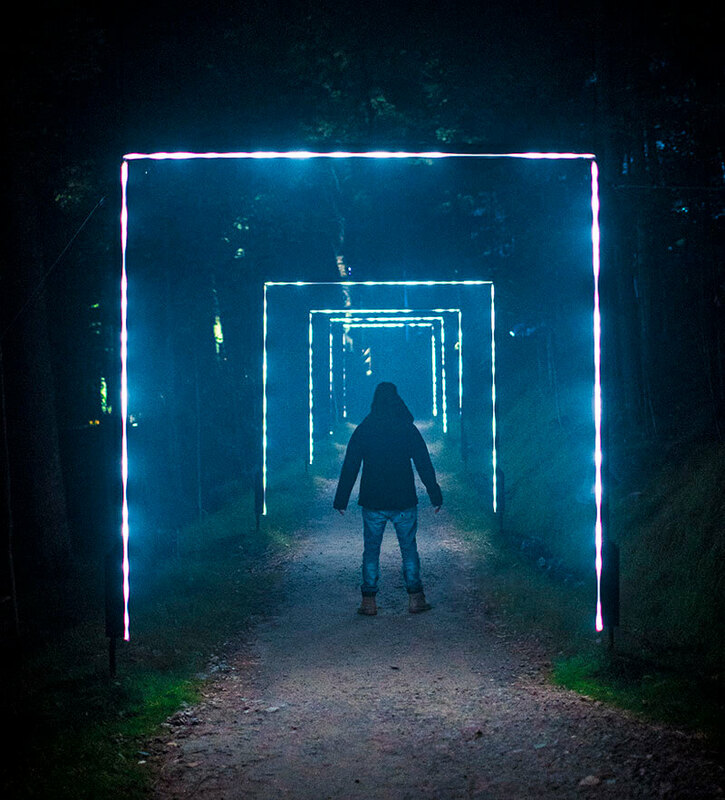 Whether there’s a festival going on or not, there are tons of great activities to do in Mont Tremblant that we haven’t mentioned. With the addition of beach & water activities, a casino, and an impressive nearby spa, the possibilities are endless. 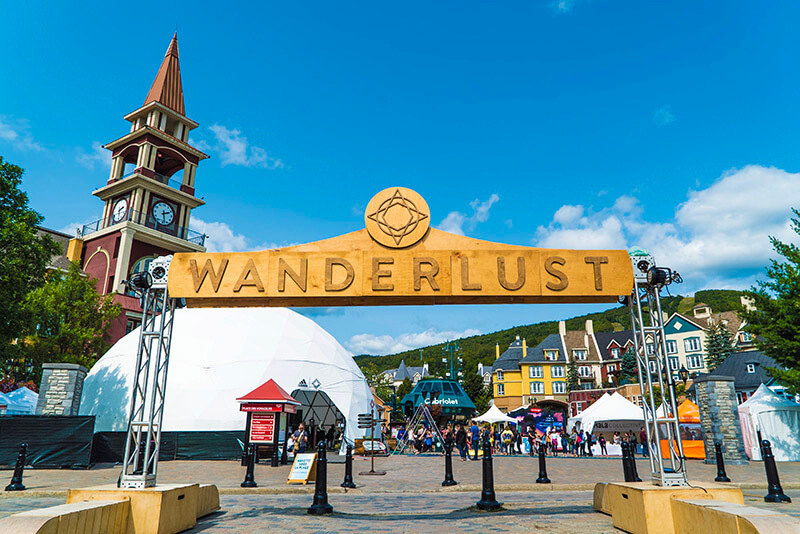 Have you been to the Wanderlust Festival or have you visited Mont Tremblant before? What was your favorite part? 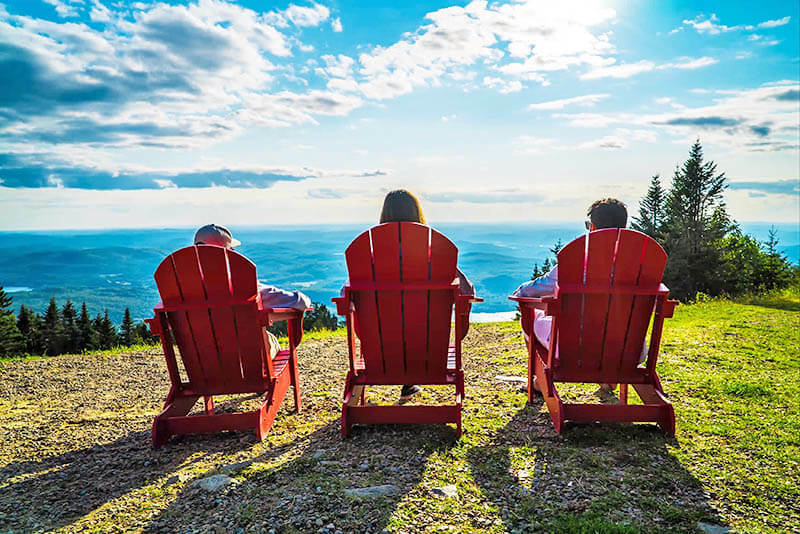 Are there any other Things to Do in Mont Tremblant in the Summer that you want to share? Be sure to tell us in the comments below! A huge thanks to Tremblant tourism, Wanderlust Festival, and Porter Airlines for hosting us. As always, all opinions are our own.